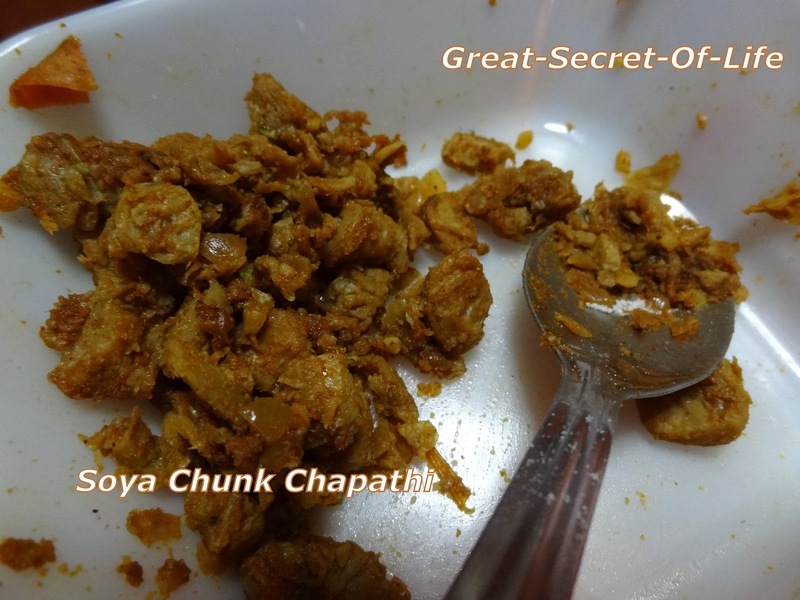 My kids love anything I do with Soya Chunks. 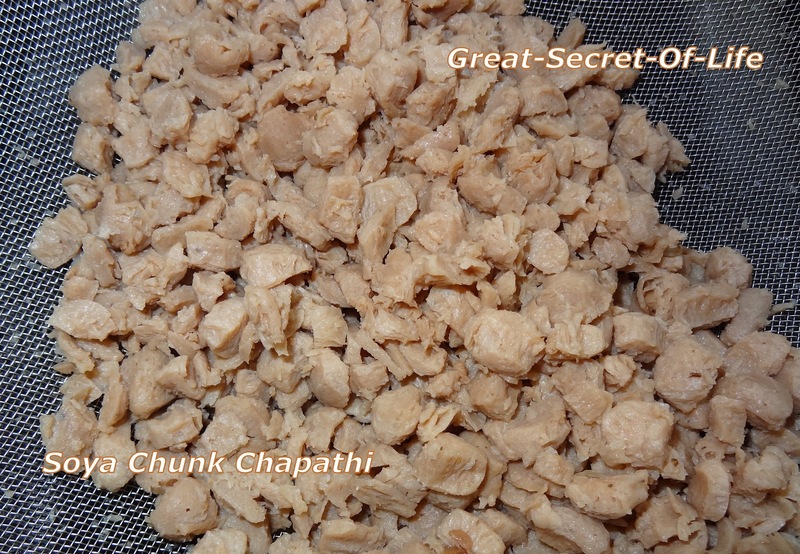 It is high in protein. It taste pretty good if u add spices which are used for biryani...Soya based recipes are all time favourite for us. 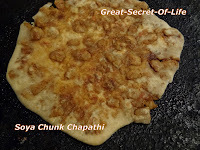 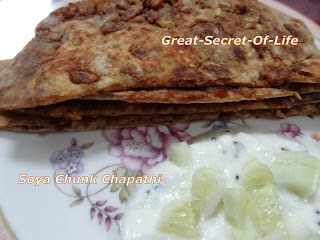 For lazy Friday it is always good to have some stuffed chapathi or paratha because you can just use Raita as side dish and easy to make it as well balanced meal. 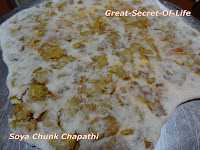 Add all the powders and fry till the masala turns mushy. Add the squeezed soya churas. 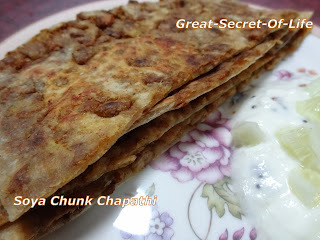 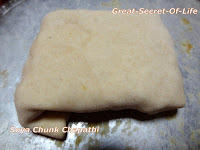 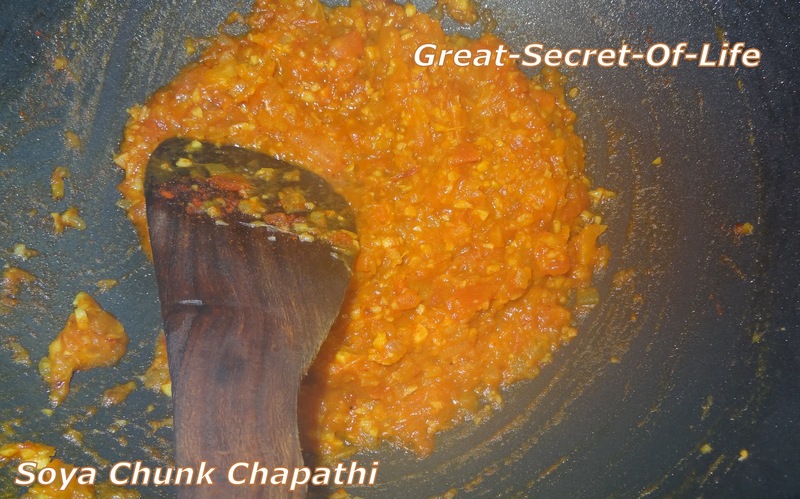 Roll a thick roti and spoon generous amount of the keema and roll into parathas carefully. 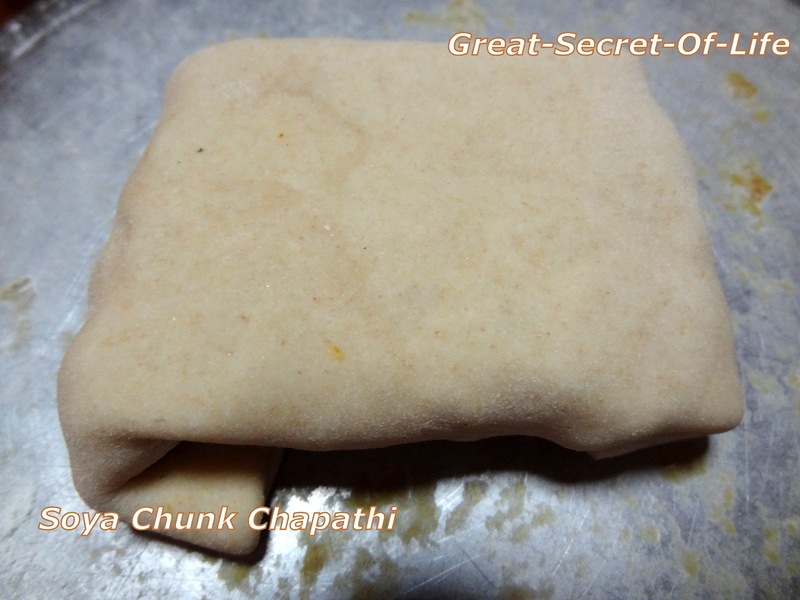 Cook both sides until golden brown in medium flame with oil drizzled over.